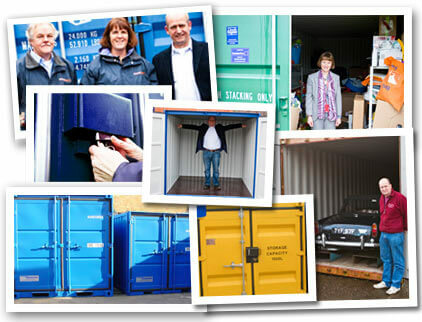 Storage Containers for Hire or Sale from the Experts. Store virtually anything at our sites in Weston-super-Mare or Avonmouth, or on your premises with for-hire, sale or fully customiseable storage containers. 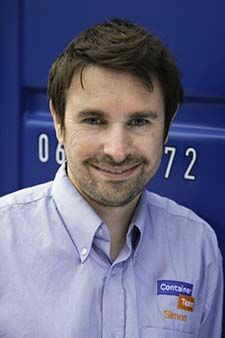 At Container Team, meeting your storage needs with our experience and choice of services is what we do best. 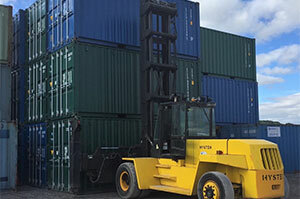 We can help you decide if you need to rent a storage container or consider one of our containers for sale. Self storage – a level-access, trolley-free, hassle-free way to store with prices that are out of this world. 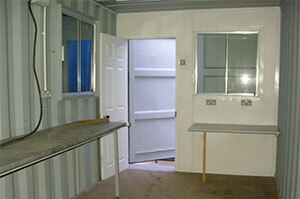 Mobile container hire – brand new containers that are clean, tidy and completely weathertight. Refrigerated storage – there are plenty of cool options if you need emergency back-up or extra cold storage. 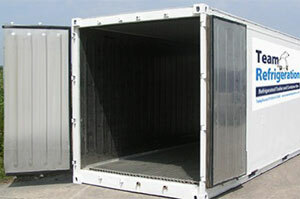 Containers for sale – high quality, professionally checked-over containers you can buy. 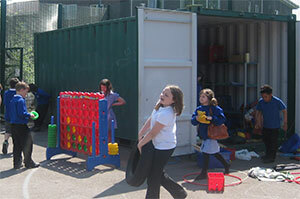 Storage for schools – shed-sized and up, containers make perfect weather & vandal proof storage for schools. Customised containers – If you want a 23ft purple container or one with insulation & windows, no problem. Container Team have teamed up with the fabulous REM tribute band Shiny Happy People and just a few of our shiny, happy customers to show you how shiny and happy you’ll be once all your storage problems are sorted! You’ll see lots of people storing all sorts of different things and you may even spot the odd member of Container Team (not that we’re all odd of course!). 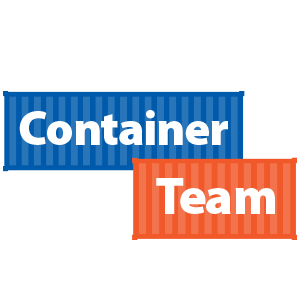 Welcome to Container Team. Our company was started 13 years ago and has been providing storage container sales and hire services as well as refrigerated container hire to an ever expanding, satisfied customer base ever since. Based in the West Country we have helped thousands of customers nationwide to meet their storage and accommodation requirements. 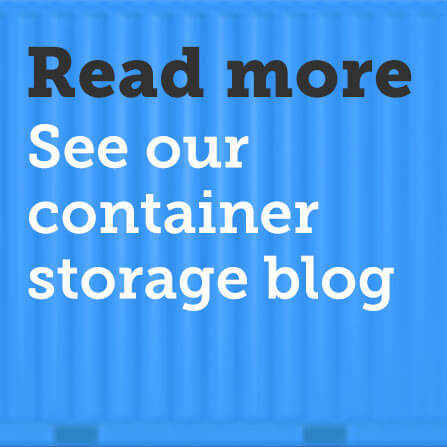 Our team has a vast knowledge of the container industry and all aspects of storage. They are eager to use their experience to ensure we meet every customer’s needs whilst delivering extraordinary customer service. The team of fabulous people that make up Container Team are here, ready and waiting to provide you with extraordinary customer service. Whether you chose to get in touch by phone, by email or by filling in a Quick Quote form, we will help by advising on the storage solution which best suits your needs, whatever size that may be and whether it is at your place or in one of our self storage depots. 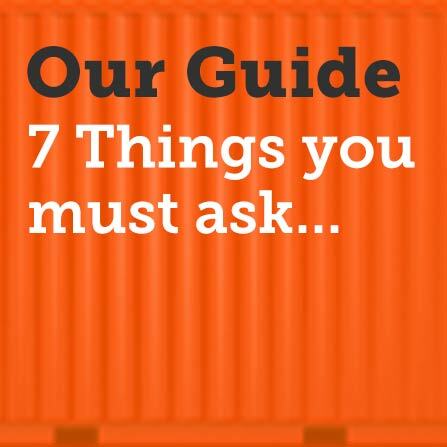 We know many of you won’t have encountered the wonderful world of containers before, but between the whole team, we know just about all there is to know about storage and about containers so we’ll be able to answer any questions you may have. Three of our core values are “We listen, we care, we serve”, “We communicate openly and honestly” and “We do what we say we’ll do”. Tim and Hazel have spent the last 13 years building a team of people that share, live and breathe these values so you can be assured that, whichever team member serves you, Container Team will deliver exactly what was promised and we’ll keep in touch every step of the way. If you have any comments about how we could make things better please contact Tim or Hazel We’d really appreciate the feedback. 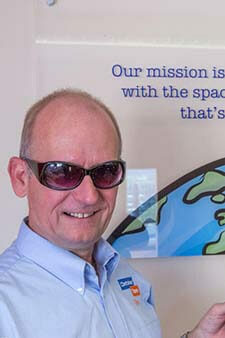 Our Mission is to provide our customers with the space they need with service that’s out of this world. We offer the complete range of standard sizes from cute little 6ft units right up to huge 40ft units which have the capacity of a double garage. 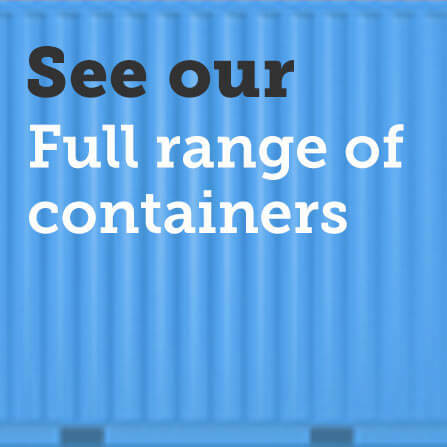 Take a look at our fantastic container range and if you need some guidance see the size guide or call the team on 01934 245027. All of our steel storage containers are made from Corten steel which has superior corrosion resistance than regular steel and ensures a long service life, so you can rest assured your property will be safe and sound. Tim’s the strong, silent one who wears sunglasses in the videos. In real life he’s a really great guy who heads up the whole company. He’s the one we rely on to keep everything running smoothly to make sure Container Team delivers extraordinary customer service. When Sarah landed the job at Container Team, she could hardly contain(er) herself, she was so excited! She is now a knowledgeable member of the Sales Team at our Weston HQ ready to answer any questions you may have about container sizes or modifications, or how many turkeys or ice creams will fit in our refrigerated trailers. Simon’s official role at Container team is Data and System Guru and he assists and supports the team making them awesome! He may only be young, but he is one of the longest serving members of the team and has a passion for making sure our customers have an enjoyable and easy experience. He likes to help keep the Container Team rocket flying high. Simon is always happy to help although he can sometimes be a bit grumpy before 9am especially if his beloved West Brom have lost! Hazel is Head of Letting People Know Just How Amazing Containers Are. When Hazel got bored with being a scientist, she decided that selling containers might be good fun! 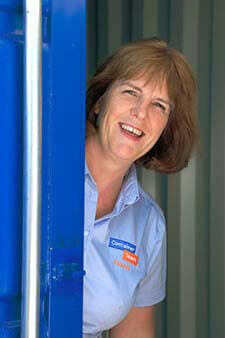 “Containers have improved our customers’ workplaces, homes and even helped children’s play opportunities.” she says. 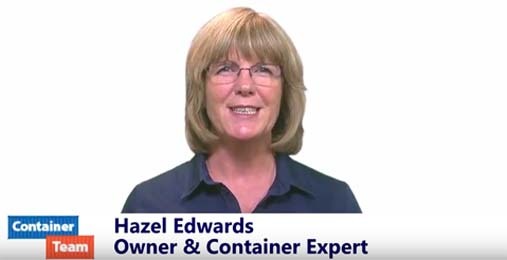 Hazel loves making quirky videos and telling real customers stories to share the many ways in which simple steel containers have changed people’s lives. Follow our blog to find out more. We get asked lots of questions by customers who would like to know more about the services we offer and we are always delighted to answer them. Please our FAQs section where we’ve covered a lot of commonly asked questions from our customers about our storage containers. What sizes of storage containers are available? 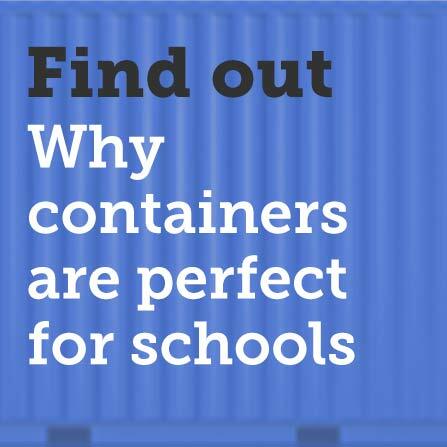 You can find out more on the Our Container Range page. If you are planning on having the container for a while, we would be happy to customise one for you and make it any length you want. 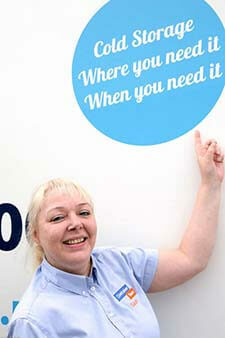 Just give us a call on 01934 245027. Storage containers are very secure. They are constructed from high tensile steel, with a 27mm treated plywood floor mounted on steel cross members. 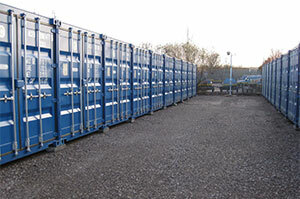 Containers have double opening doors secured with lockable closing bars as standard. For all hire units we fit an extra high security lock box and supply a high security lock. The lock box prevents the lock from being tampered with. See our short video. Self storage is a flexible service offering do-it-yourself storage for business and domestic customers. 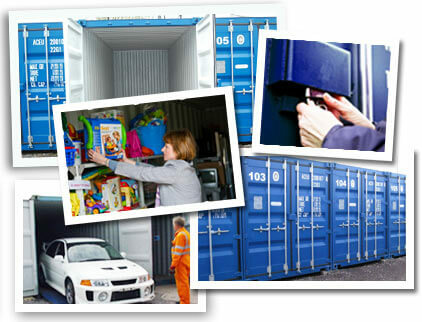 We provide clean, dry storage units to which you have unlimited, free access during our opening hours. We can arrange to open up at other times by appointment if that suits you better. Your storage unit is locked with a high security padlock that only you have the keys for, ensuring you are the only person with access to your goods. Click here to find out how self storage in our containers compares to other forms of self storage. 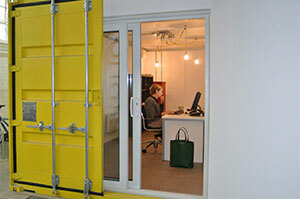 Containers are ideal for us, flexible space that is secure. We use up to 23 containers and can’t fault the guys at Container Team. Container Team was able to help us. We received an excellent service. The containers from Container Team really helped in the early days. At first we used them for cars and parts but now they are very useful for general storage. A great company to deal with!